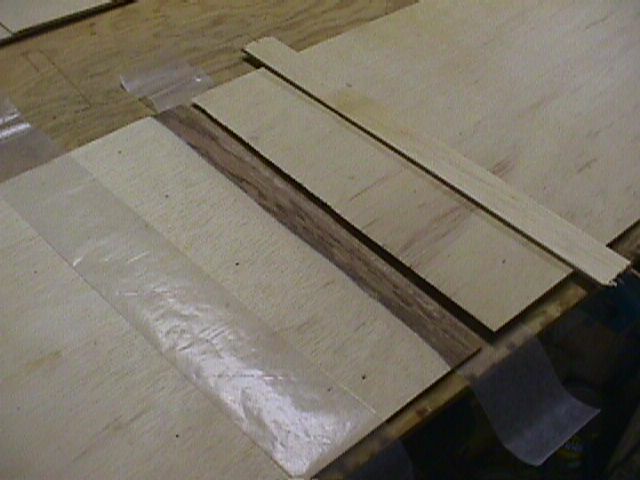 Scarfing plywood is easily accomplished using a belt-sander or a sharp hand plane. An electric plane, or sandpaper wrapped around a piece of 2x4 may also be used. Getting the angles (proper beveling) to match is very easy, stack all four sideboard pieces on top of each other with a scrap piece on top. By doing them all at the same time, they will all have the same angle. Each piece is offset from the one below by 2". The formula for scarfing is 8 to 1. If the material is 1" thick, the scarf would be 8" long. Using this formula will result in a joint as strong as the rest of the material. I tack them to my work table, a solid core door, with brads so they will stay flat. Then I use a random orbit sander with 60 grit sand paper and grind them down. One of the biggest mistakes people make is when gluing up the joints they apply too much pressure which can squeeze all of the glue out resulting in a weak joint. 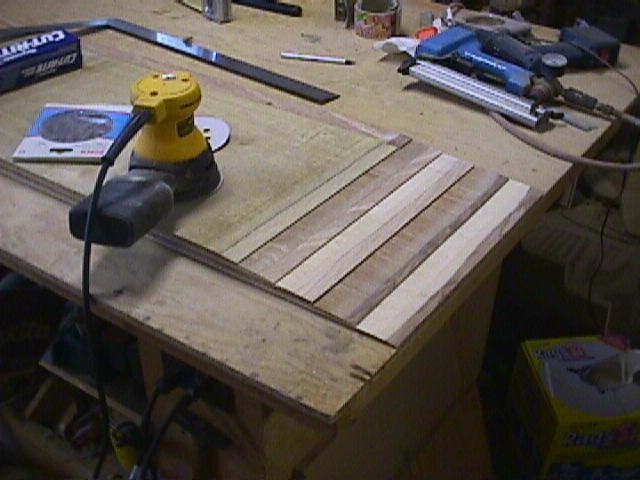 When I glue up, I put wax paper on the work table, put the first piece down add glue and put the top piece in place, more wax paper and then put a 2 or 3" wide piece of scrap plywood over the joint and shoot it down with a brad gun. Come back the next day and pull the brads and sand off the excess glue. I've had good success doing this.